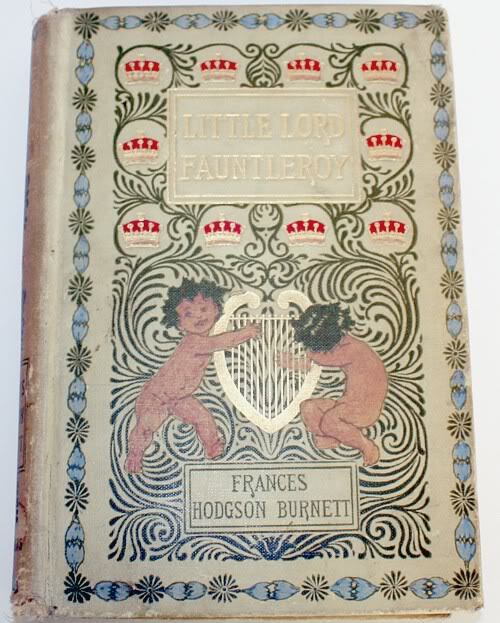 Sweet copy of Frances Hodgson Burnett's Little Lord Fauntleroy, the prettiest copy we've ever seen. Bound in pale yellow cloth with generous gilt and red decoration. Two cherubs playing a harp on the front cover. 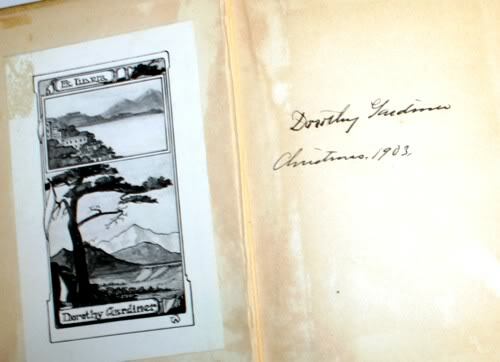 Gift inscription dated 1903 located inside front cover. Clean text pages. Frances Hodgson Burnett, (November 24, 1849 - October 29, 1924) was an English American playwright and author. She is best known for her children's stories, in particular The Secret Garden, A Little Princess, and this, Little Lord Fauntleroy. All were nursery favorites in the Victorian era. 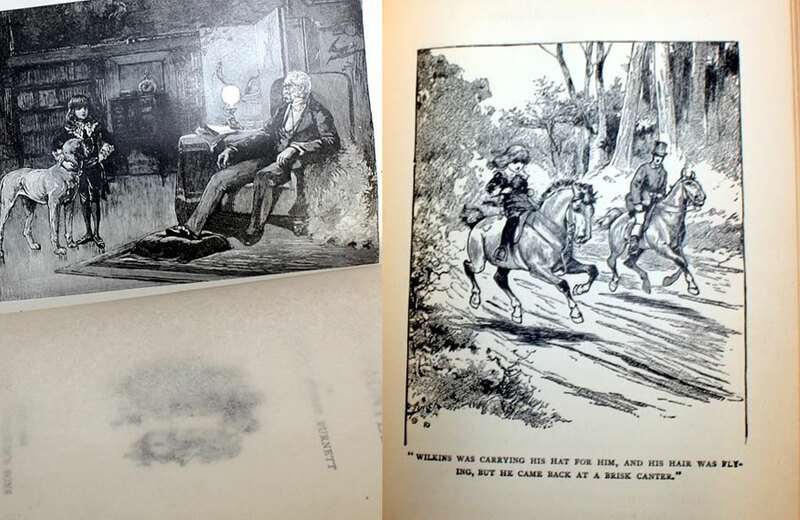 This copy has 24 black & white Illustrations, and 290 pgs. Cover is worn, as shown, and the corners are bumped, but this Children's Classic is a wonderful addition to your book collection. Please read it aloud to your favorite little one!